I’ve made some “Salt Fermented Dill Pickles” last week and waited until today to taste one. They are the tiniest bit salty and delicious. I can taste a bit of clove so I think that came from the pickling spice. 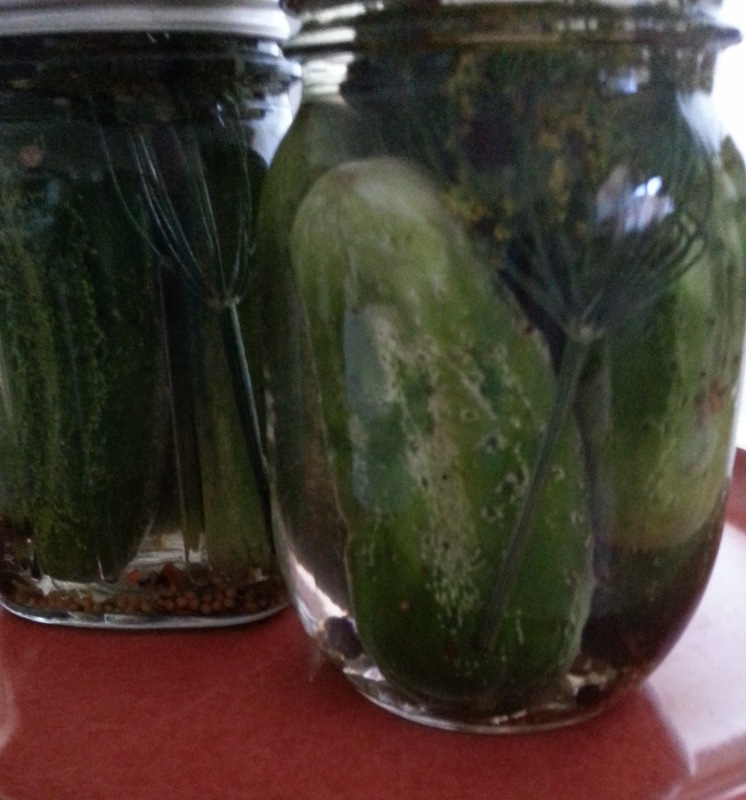 I’ve posted a picture of my yummy pickles. BUT, best of all they were so very easy! It took 20 minutes to pop them in the jar. This entry was posted in General, Recipes and tagged cucumber, fermented, pickles. Bookmark the permalink.